Whenever Vladimir Putin is not on Russian soil - his demeanor changes significantly. In such settings, the Russian President acquiesces and assumes much less of an alpha role than what, for him, is typical. Today at The United Nations Conference on Climate Change was no exception. One of the cardinal rules of body language that the majority of people (including those whom fancy themselves as "leaders") will routinely break - is proper eye contact during a handshake. Note that at their greeting in Paris, Putin's left hand is grasping Barack Obama's right elbow. This is a very common nonverbal maneuver used by alpha personalities and particularly politicians in an effort to increase their alpha relative to others peers and near-peers (and most of them over-use it). 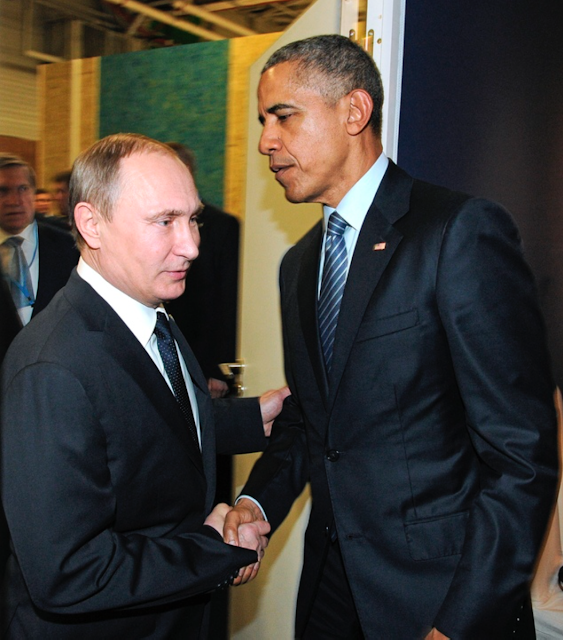 Yet any alpha Putin adds here is more than negated by Vladimir's lack of eye contact. During a handshake is one very crucial time when increased eye contact is expected - and extremely conspicuous when absent. Specifically, not maintaining eye contact for few seconds of the hand contact is also fundamental mistake. The two should be nonverbal components should be temporally linked. What are the other common mistakes made during handshakes?